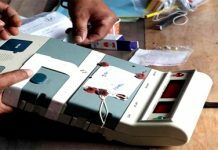 Kolkata: Cloud of uncertainty has overcast the Bengal Panchayat poll as the Calcutta High Court today said that the 14 May voting date announced by the State Election Commission (SEC) is only a “proposed” one and not final. 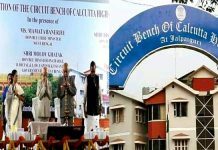 The single-judge bench of justice Subrata Talukdar has left the decision on the division bench headed by Chief Justice Jyotirmoy Bhattacharya on whether to endorse the 14 May voting date. The division bench is likely to hear the matter on 4 May. 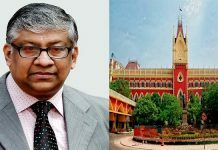 Justice Talukdar’s directive comes in the wake of separate contempt petitions filed by the CPI-M, PDS, and BJP alleging that the SEC announced 14 May as the voting date without consulting the opposition political parties. This has amounted to contempt of the High Court, which had directed the SEC to hold parleys with all the “major stakeholders” before finalising the election date, the petitioners alleged. The counsel for PDS told the justice Talukdar that SEC unilaterally announced the voting date on 26 April and held the meeting with political parties on 28 April, which is an outright violation of the HC’s previous order. BJP’s counsel told the court that SEC could not tell anything concrete about the security arrangements during the meeting. Also, the state government is planning to deploy civic volunteers, forest guards, etc. who lack required training to perform election duty. The State Employees’ Federation had filed a petition in the division bench headed by the Chief Justice demanding adequate security arrangements for the Panchayat election and the bench had directed the state police to furnish a detailed report during the next hearing on 4 May. Referring to this today, justice Talukdar asked the SEC’s counsel as to how come it finalise the election date even before satisfying the division bench on security arrangements. “Since it is not known whether the division bench will be satisfied with the arrangements, the 14 May voting date cannot be treated as final; it is only a proposed date…SEC’s move is an attempt to mask the eyes of the HC. Let the report on security arrangements be first furnished. The division bench will then take a final call,” justice Talukdar said.